As the leader of his trio or more recently as co-leader of « Wood (a duo with bass player Sébastien Boisseau), Matthieu Donarier has become one the most in demand saxophone players on the french jazz scene. From D. Humair’s “Baby Boom” to Gabor Gado’s quartet, from the “Sacre du tympan” big band to the pianist Stephan Oliva, including meetings with Pat Metheny and Dave Liebman, a regular engagement with Patrice Caratini’s or Alban Darche’s ensembles, on Tony Malaby’s side in Stéphane Kerecki’s band, Matthieu Donarier succeeded in forging his own path with other talented and inventive musicians of his generation. 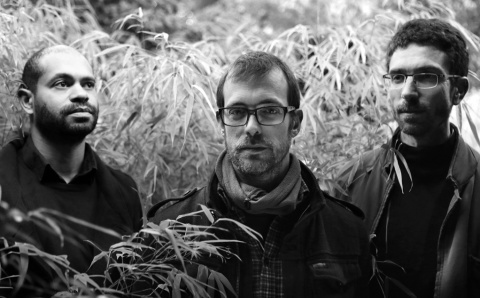 Matthieu Donarier’s trio arose at the end of the century. It is now fifteen years old and releases a new album on that occasion. The previous ones (Optic topic - 2004 and Live forms - 2009) were widely hailed by the critics and the audience. “Papier jungle” was recorded live in Guidel, on L’Estran’s stage - a place devoted to creative jazz, ideally adapted to the band’s needs. 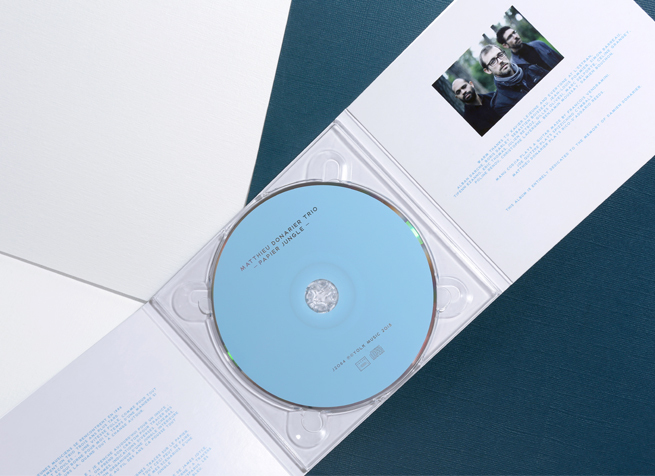 Surrounded by his faithful friends - Manu codjia on guitar and Joe Quitzke on drums- Matthieu Donarier offers a truthfull and deep music, born from this precious complicity that allows them to step into places where few musicians dare to go.. Ten years of work with the Shanbehzadeh Ensemble, playing music from the south of Iran, definitely transformed their approach to musical language. The music resulting from this is more intense, more cohesive and yet even closer to freedom than before. 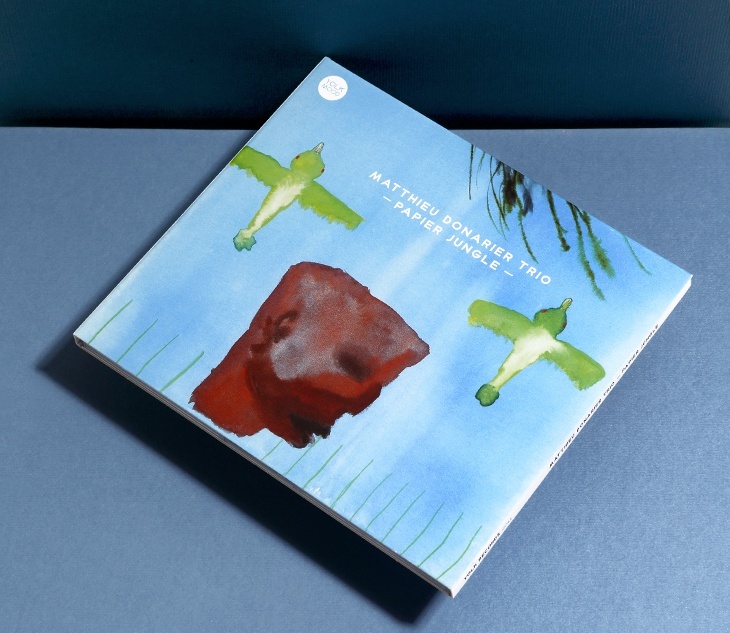 “Papier jungle” confirms the trio’s ability to produce a distinctive sound, talking to everyone’s soul - one of the recurring features of Matthieu Donarier’s projects. Visually designed compositions, unexpected cover versions, the infectious grooves of M Codjia and the heartfelt drums of Joe Quitzke – there is no doubt that this band will conquer unanimous appraisal on stage. "Three young musicians meet in 1996 and three years later become a trio . Fifteen years have passed - in the blink of an eye ! - with this band that means so much to me, as it gives me a touchstone in time : it’s still there, while everything else has changed. What is it that holds us together ? I would lean towards this : our common inclination for collective re-creation. One day, you take your pencil and you write these signs : notes, silences, rythms and other indications. Outlines, transcriptions coming out of your interior jungle, growing thick over the years, always changing. Then you have to give a second birth to these signs written on the paper. That’s when I’m happy to know Manu Codjia and Joe Quitzke : they’re used to reading through the strange lines of my scripts. Out of a map, we re-create a land. Paper. Jungle. A lot of things can be found here, watermarked, between the lines : James Joyce’s language, the hobos’ erratic ways across the continents, Wagner’s death in Venice, Kenneth White’s mists and a party taking place under a wide blue sky."